In a bid to spruce up our new-season wardrobes and inject a little much-needed fun into the proceedings (in other words, we’re thinking beyond boring old basics), we turned to some of our favorite e-tailers in search of under-$50 pieces that’ll add a punch of personality to just about any look. We’re talking statement bags for a steal, seriously good vintage-looking denim, colorful socks from our favorite Scandi designer, and okay, even a basic sweatshirt or two for you minimalists out there. 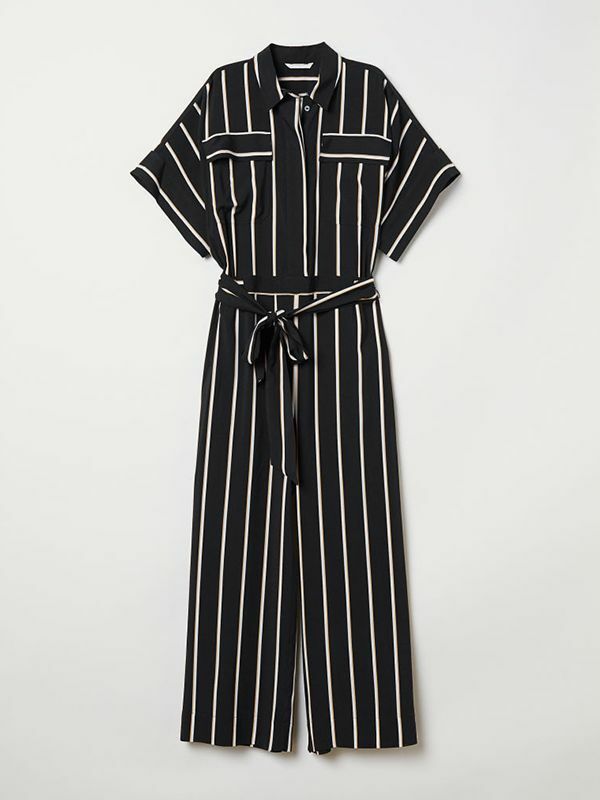 Another day, another affordable jumpsuit I’m adding to my cart. Silk for a steal—that’s what I’m talking about. How’s this for a statement-making shopper? Exactly what I’ve been looking for, thank you very much. Strappy patent shoes go with everything, no? The way to wear white after Labor Day. Striped tees just got more interesting. Love my hoops; need something different. Finding good vintage-looking jeans under $50 can be a real slog, but here’s proof that it’s possible. Tired of Millennial Pink? Agreed—this shade is much more fun. Taking belt bags back to their less fussy roots. Transitional weather calls for lighter layers—and topstitching. Plenty of topstitching. Because I tend to buy a new pair of sunglasses every season. The stylish way to feed those 4 p.m. bursts of hangry. How good is this skirt? …And how much do I need the matching top? More striped goodness to rotate on in. Is there a better time to stock up on basics? The easiest way to bring that summer spirit into fall. Need more budget-friendly wardrobe picks? Check out our under-$100 Carrie Bradshaw capsule wardrobe.